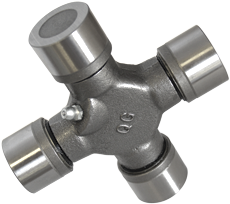 Our universal joints have gained the reputation of providing the best quality, durability and value. We stock universal joints for all the common automotive and light truck applications including 3R (GM), 1310, 1350, 1330, 7260, and 7290 (Dodge), and the Ultra Seal Universal Joint; just to name a few. Contact your local Quality Gear distributor today for help with your driveline needs.